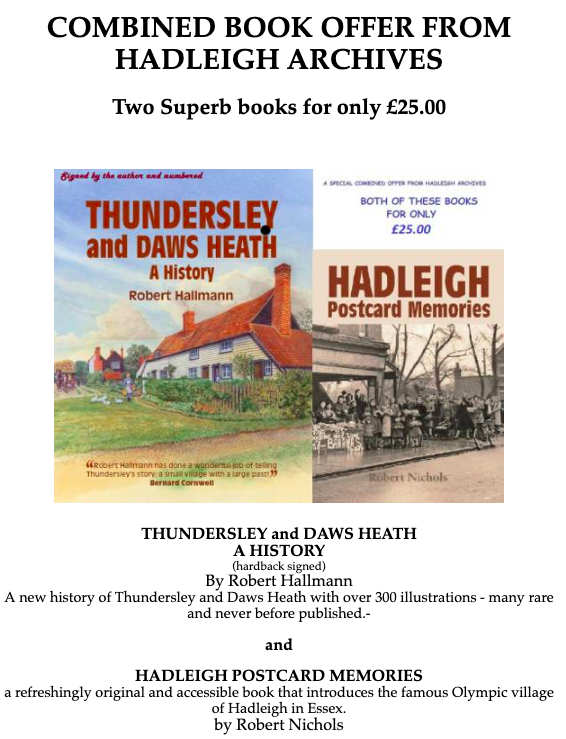 This is the book that the Hadleigh & Thundersley Community Archive helped Robert Nichols create from part of his postcard collection. Bob’s remarkable book delivers a stunning evocation of buildings and people, past and present, using his unique viewpoint as a local lad with global experience. He was taught at Hadleigh School, then worked during the day and studied in the evening. Engineering training at Southend Technical College, and an always evident enthusiasm for life, served him well in volunteering for the RAF in 1940. His war service took him to Burma and India to lead teams recovering and rebuilding crashed fighter planes. 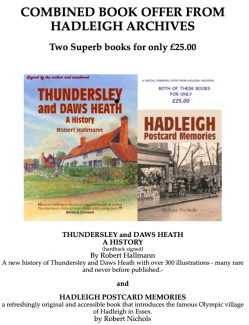 Hadleigh Postcard Memories is a refreshingly original and accessible book that introduces the famous Olympic village of Hadleigh in Essex. 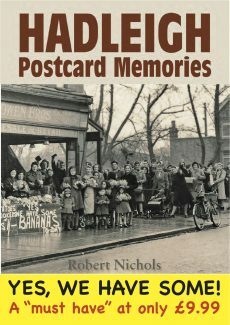 This is the first-ever publication from a brand new author, Robert Nichols, born in Hadleigh in 1921. 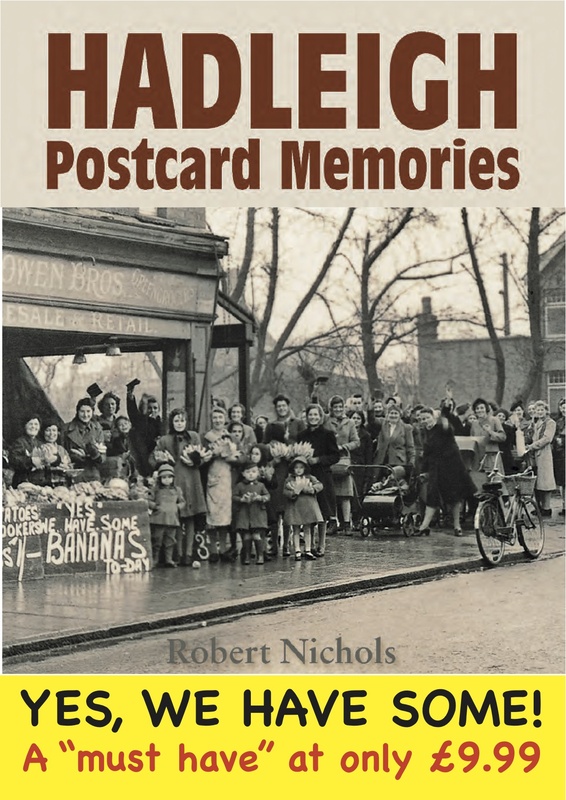 Using 160 examples selected from his personal collection of postcards, Bob evokes the feeling of a bygone era in a way that shows how the spirit of Hadleigh has developed and lives on. I have just looked through my copy of this lovely book. Although these images were from well before my time, there are many reminders of the Hadleigh that I knew from the fifties onwards. It is nice to have them all in one book.